The Great State of West Virginia flag cap! Designed by our staff in New Bern, NC. 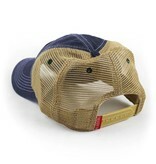 The West Virginia Flag Patch Trucker Hat, Navy has a Salt-Wash™ treatment to create a weathered, heavily sun bleached look. The high thread count embroidered flag patch creates a vintage look. Hat is adjustable with snaps. Mesh is soft and bill has a natural bend. 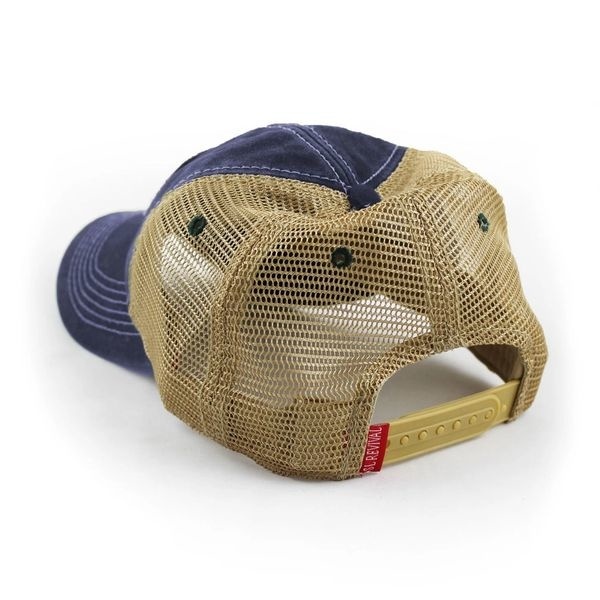 This hat is a heavily faded Navy blue with a contrast stitch making each hat uniquely different. 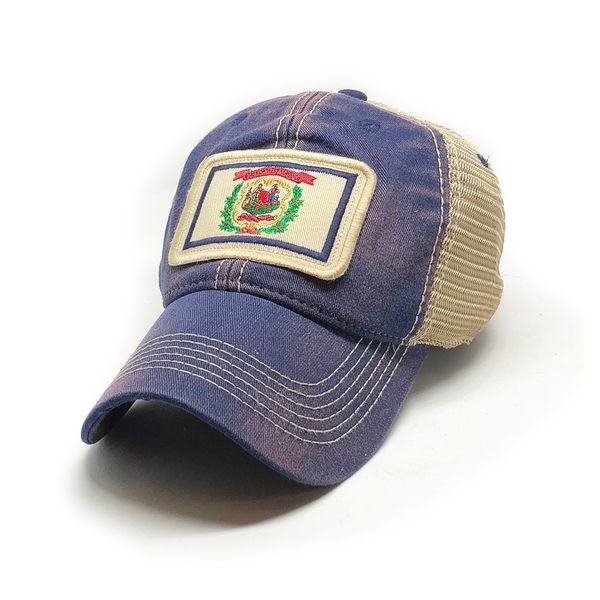 The West Virginia Flag Patch Trucker Hat, Navy fits sizes 6 3/4" to 7 3/4". Our vintage state flag patch trucker hats are the original vintage state flag truckers. Make sure you are wearing a Revival™ hat.